Born and raised in Baton Rouge, Derrick serves as a communal resource dedicated to instilling, and enforcing, equity and diversity. His passion is sparking action and dialogue regarding race, gender norms, and the ways in which these issues intersect with each other. He believes the ability to convey messages in relatable, and consumable, ways is a critical skill for bringing about social and cultural change. Derrick has seven years of mentorship and counseling experience and values his ability to be creative and versatile. 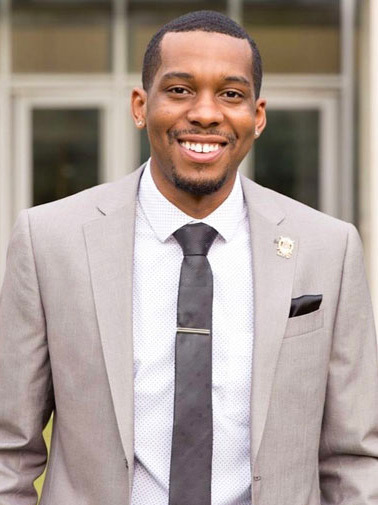 He is currently a doctoral student in LSU’s Sociology department where he is connected to several programs like Upward Bound, the Ronald E. McNair Scholars Program, the Black Artist Initiative, and the Black Male Leadership Initiative. Derrick’s work with STAR focuses on community education and the comprehensive process of primary prevention. He teaches and facilitates conversations with, a youth about establishing and respecting boundaries, the importance of communication, healthy relationships, and the effects of sexual trauma. His objectives are to raise awareness about sexual violence as a public health threat and address the root causes of victimization, perpetration, and bystander behaviors.